In late 2018, I was interviewed by Here For You For Them on mindful parenting. In the interview, we covered topics such as how yoga has helped me cope with the pressures of being a dad, tips on yoga poses and mindfulness techniques to try when short on time and yoga in the UK national curriculum to enable children to realise their potential. The article also included a ‘toolbox’ of mindful parenting methods that have served me well. I really appreciated the support from Here’s founders, Dana Dyskterhuis and Jen Armstrong. Through their website, events, photography, books and so much more they provide an invaluable set of resources that help people to take care of themselves. As a parent, I like that they are not trying to tell me how to be a better parent or how to live my life, but rather bring positive ideas and techniques whenever I am in need of them. We share a common interest is supporting positive mental health for families. In my thesis on yoga in the UK national curriculum, i noted the government’s statement that we are in the midst of a mental health crisis. This is supported by half of all mental health conditions first occurring by the age of 14 and three quarters by the age of 24. Teenage depression and anxiety rates have also increased by 70% over the past 25 years. One of Here For You For Them’s activities that has therefore really caught my attention is their Om:Pop events in London. Their yoga and mindfulness pop-up events create spaces for families to come together through yoga and mindfulness. Their events provide much needed resources to help families develop skills to cope with the challenges of everyday life through fun, creative, bespoke real world exercises and continued digital support. I am acutely aware that family activities have a tendency to revolve around overly stimulating activities such as playgroups and soft plays. These types of activity have a role to play, such as enabling children to develop social skills and providing physical exercise. These activities are often high energy and physically and mentally exhausting for the family. Cost can also be a barrier to some families, excluding them from activities. In our experiences, when we find time to prioritise our wellbeing, we often have to ‘take it in turns’. For example, where one of us attends a yoga or pilates class, the other parent covers the childcare duties. Although pursuing personal interests is important, where we are unable to share these experiences, this can lead to a disconnect in family wellbeing. In my thesis, I talk about how yoga can add value in schools where the education system is primarily based upon a culture of competition – with this starting at an earlier age. Yoga has the potential to be the ideal counter, creating an environment in which it is more important to be satisfied with who you are and what you are able to achieve in a safe and secure environment. Providing opportunities for children to look inwards rather than their external environment for gratification and a benchmark of self-worth. On this basis, I am very happy to support the Here For You For Them team realise its ambitions for Om:Pop events. 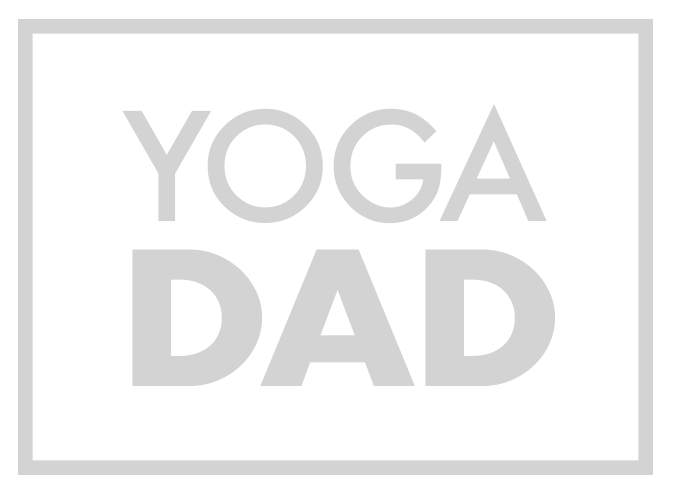 They have launched a crowdfunding campaign that when they meet their funding goal will enable them to provide a minimum of 10 – 15 Om:Pop family yoga events in Hammersmith & Fulham. All of which will be free for families to attend. Four venues have already been secured. Anything above their funding target will mean more events take place locally and more families can benefit from their expertise. Only time will tell whether yoga becomes part of the UK National Curriculum. Whether it does or not, I think it’s incredible to see initiatives such as family yoga and mindfulness events ‘popping up’ in London. As a parent of twin boys, I am well aware of the importance of being a positive male role model for my sons. This includes through promoting positive physical and mental health & wellbeing. Supporting Om:Pops will bring these type of wellbeing activities to more people, and the many benefits that result.